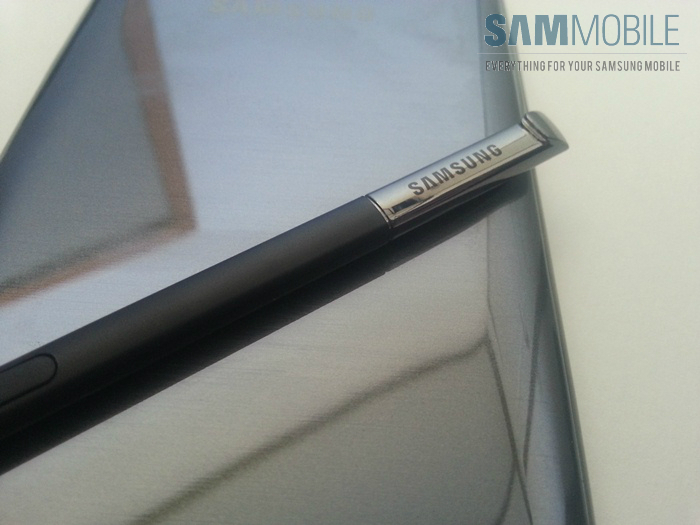 Last year Samsung announced the first generation of the Galaxy Note at IFA in Berlin. They created a whole new market and many people thought Samsung would fail. However what appeared, the device sold more than 10 million times! 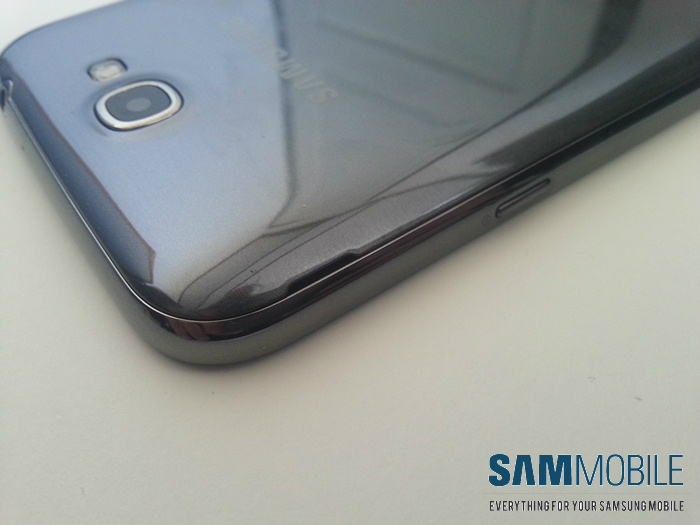 That was the main reason that Samsung renewed the Galaxy Note and the Galaxy Note II was a fact. 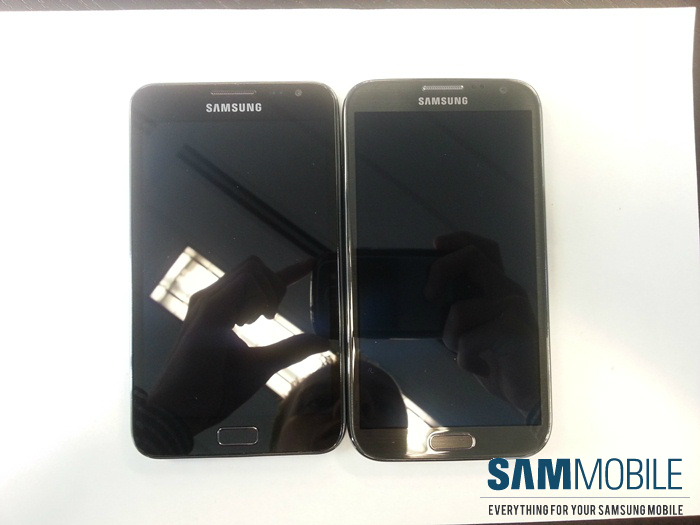 The Galaxy Note II is a little bigger than his brother, the Galaxy Note, yet it does not feel that way. 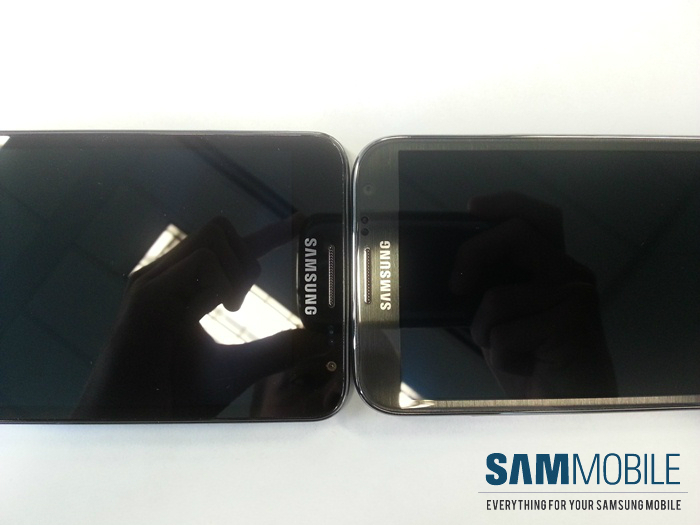 Samsung adjusted the width of the device which makes it more easy to hold this due the 16:9 aspect ratio, that ensured that the device could be made narrower but made it slightly larger. Well let’s see whether this Galaxy Note II is going to live up to the expectations. ● Air View, Pop up Note, Pop up Play, S Planner, Idea Visualizer, Best Photo, Best Faces, Sound Alive, All share, S Beam, S Suggest, Voice recognition, Voice Control, Voice Messaging, E-mail, Google Tools, Video Calling, Video Streaming, Group Call, hands free speaker, OMA DRM v1.0, 3D-Sound technology, FM-Radio RDS + Recording, Document Viewer. 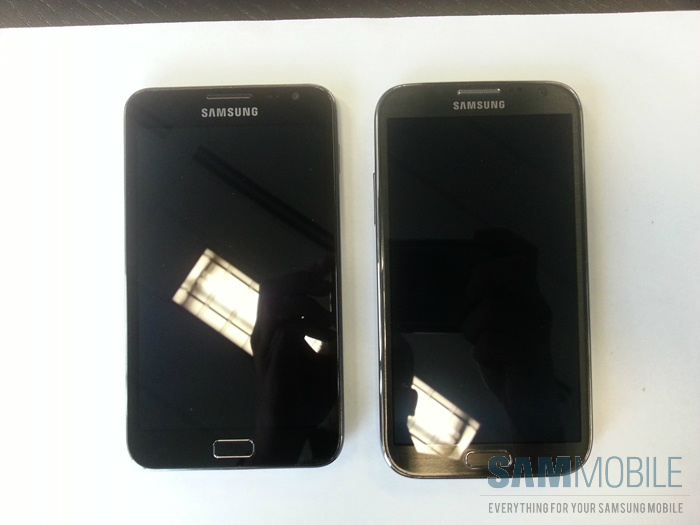 Hopefully we see those things with the next generation Galaxy Note devices. All in all, we must say that the design was improved in every way! Despite the large screen the feeling in the hand is quite pleasant, because the screen is rounded of really nicely. 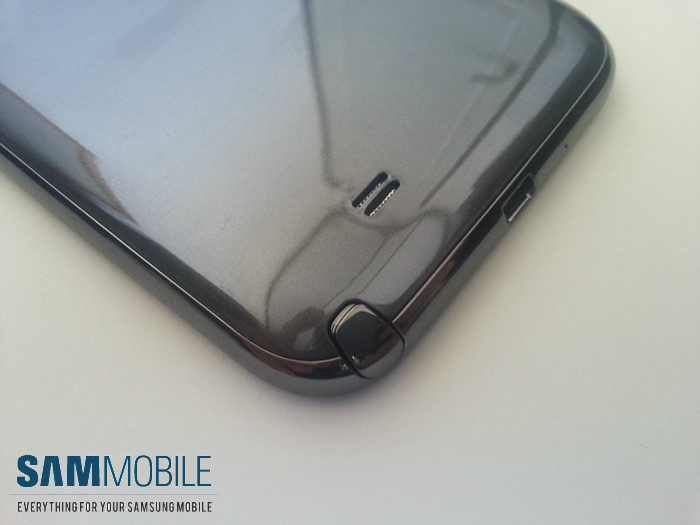 The device gives you an expensive feeling, yet the weakness of Samsung is still the back. Shiny plastic (polycarbonate) is not the first choice for everyone. It is time for some premium materials. Especially when you see that the biggest competitor Apple is using premium materials, and what about the ceramic housing of the latest Nokia and HTC phones. 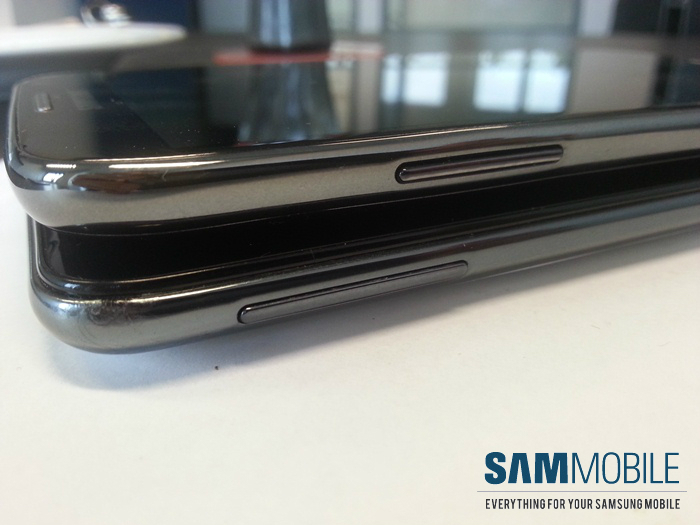 Despite the negative story about the back of the Galaxy Note II, we can say that the device holds better in the hand this is due with of the device which is reduced a little, but just enough to make it feel good. 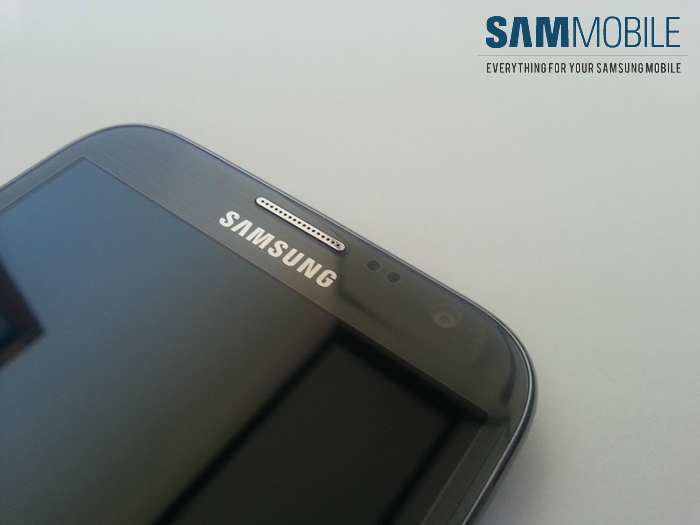 Let’s start with the front of the device, the Galaxy Note II uses a large 5.55” HD Super AMOLED display. Above the display you see the Samsung LOGO and speaker. On the right side of the speaker there are the usual sensor and the front facing camera To the left of the speaker you see the notification LED,this notification LED is nicely hidden behind the finish that Samsung used. At the bottom of the front of the device you see the home button, also on the left and right of the home button the two known Touch buttons are placed. Also, you will not see this if their not in use, these are again nicely concealed. 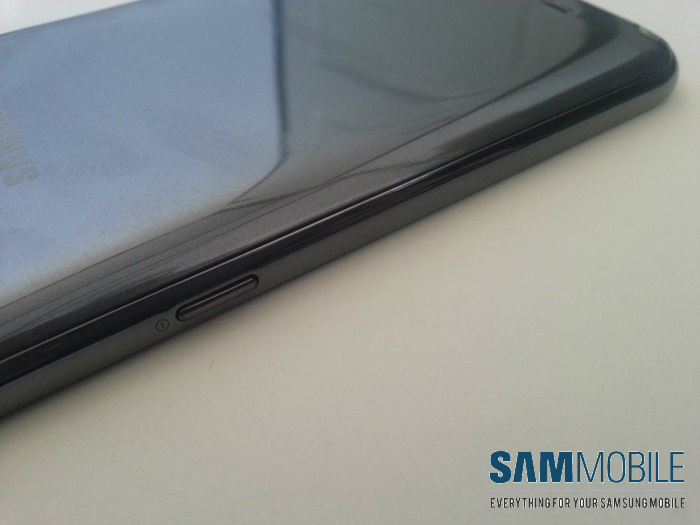 On the left side of the phone you see the volume rocker, and at the right the lock button. At the top and the bottom of the device the microphone is located and a 3.5 audio- jack. 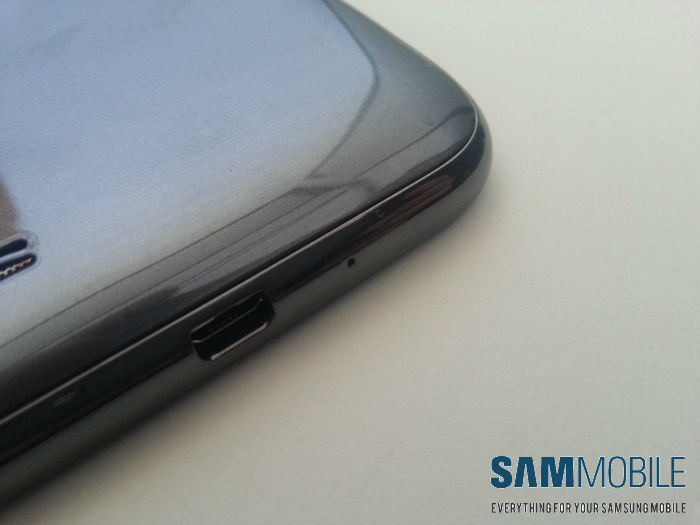 At the bottom you see a speaker and the slot for the S-PEN and of course the MICRO-USB port. At the back you can see the camera and LED flash. 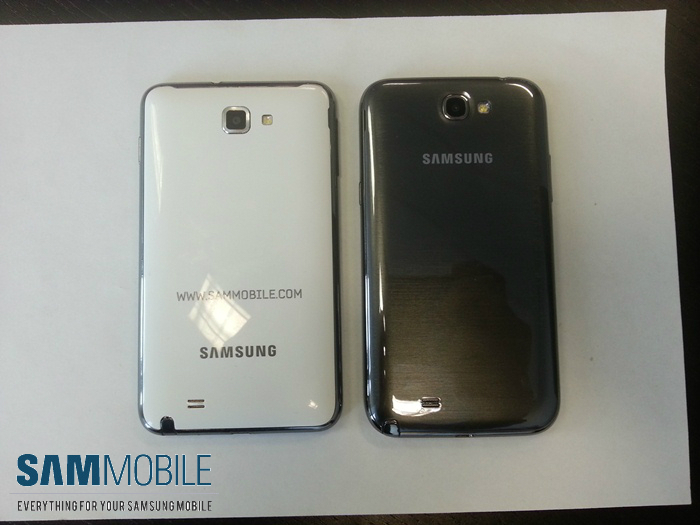 And a speaker at the bottom, and as usual Samsung also placed their logo on the back. 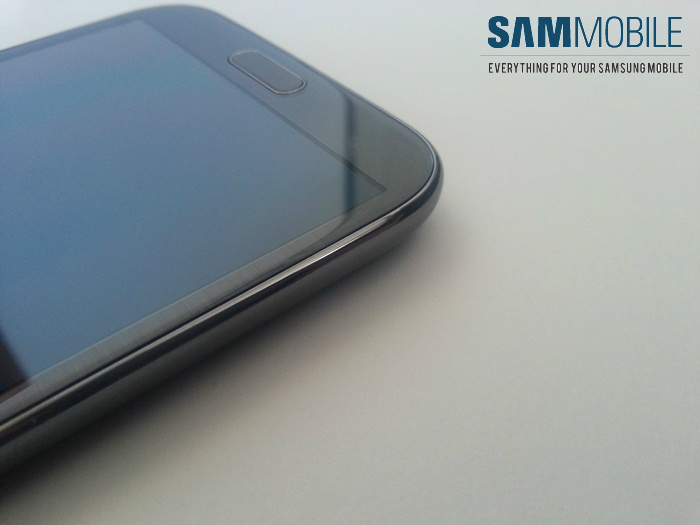 The Note II comes with a screen size of 5.55 “ Super AMOLED HD with a resolution of 1280 x 720. This actually lower than the first Note, but since Samsung is using a RGB-Matrix instead of Pentile the images are a lot sharper, this is due the sub pixel lay out which is more on a RGB matrix. Samsung changed the aspect ratio too from a 16 x 10 to a 16 x 9 which makes watching movies more pleasant. The black bars which were at the top and bottom of the screen of the first Note are history now. 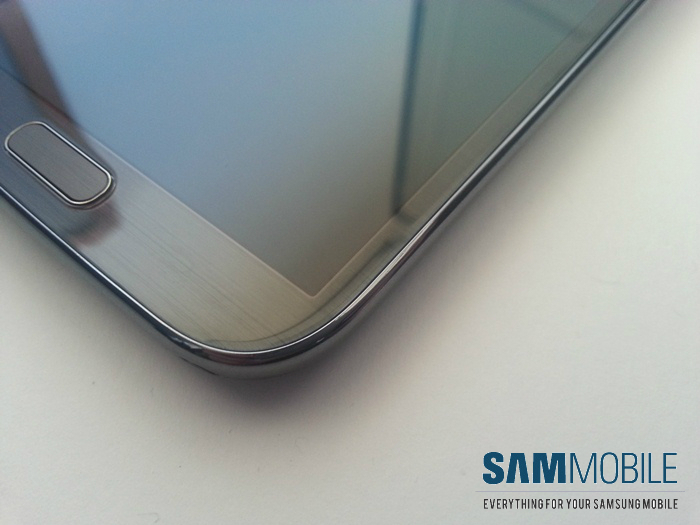 We of SamMobile find this the most beautiful screen Samsung ever produced. The camera of the Galaxy Note II is much better than in the Galaxy Note.How ever the maximum camera resolution 8 Mega pixel is still the same, the sensor is of a higher quality. 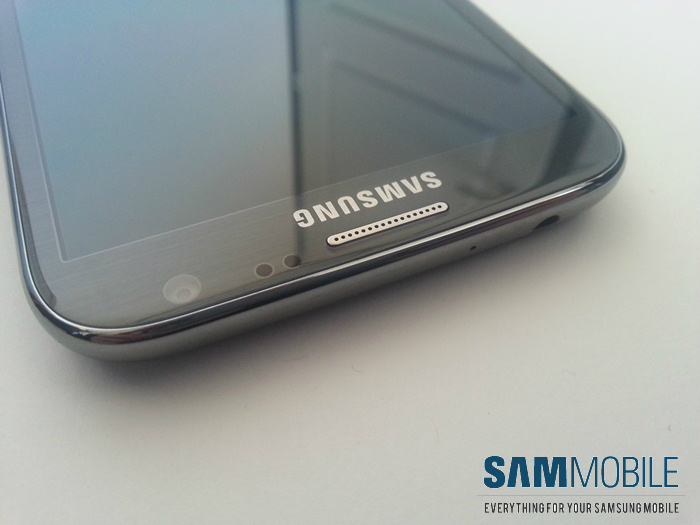 Samsung uses the same camera module as in the Galaxy S III. This camera module comes from Sony and Samsung has added quite a few software tweaks to their camera. Thanks to the zero shutter lag you are able to shoot your photos extremely fast. There is also a burst mode which lets you take 20 photos in just a matter of seconds by just holding the shutter on-screen button. In this mode the phone can recommend the best photo but you can also choose your own best photo. There is also an option to shoot HDR (High Dynamic Range) photo’s. Thanks to the powerful chip set you are able to shoot full HD videos. The videos are having a stable 30fps. Just like in photo mode you can also choose between a wide variety of settings to shoot your videos as best as possible. In camcorder modus you can recorder in slow motion. You are also able to take pictures when you record things.The front camera is 1.9 Mega pixel.There is an option to record in HD but this camera is specially for video calling.We have to say we are not using this function. Samsung use this front camera also for Smart Rotation and Smart Stay. 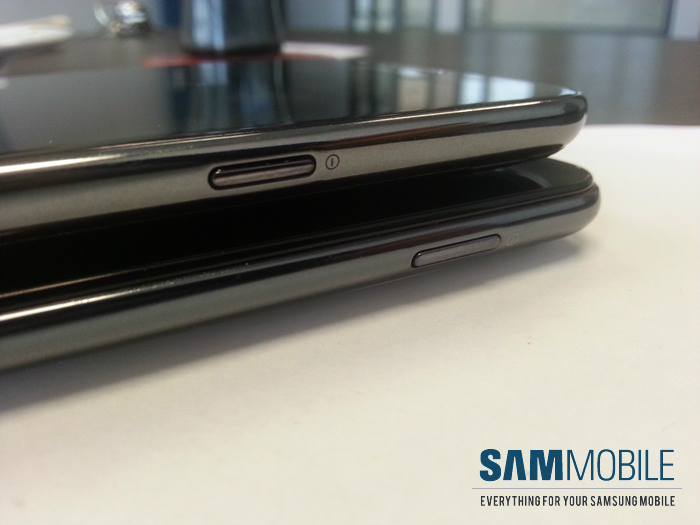 Below a couple of pictures of the Galaxy Note and Galaxy Note II. The Galaxy Note II runs on Android 4.1.1 a.k.a Jelly Bean. It gives you a butter smooth experience all though project butter is hardly noticeable because of the power full 1.6 GHz quad-core processor. The only time when you notice project butter is with the transitions all through the menu, they are more fluid. 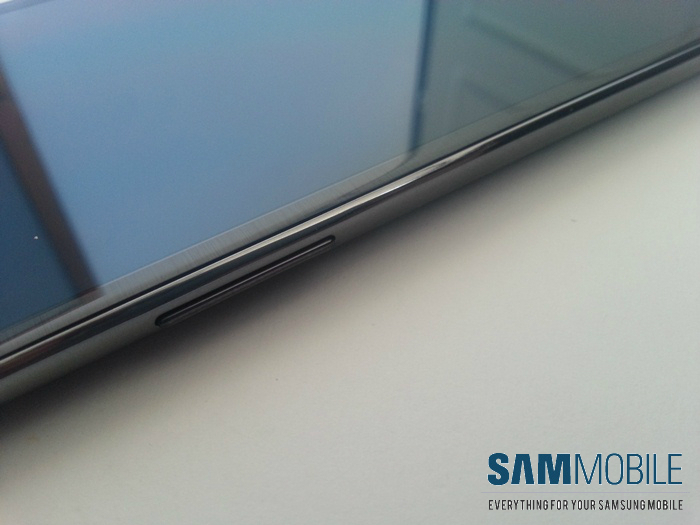 The galaxy Note II is a true power house, it flies through the menus with ease. The Galaxy Note also has the Touchwiz 5.0 interface on top of Android, all though with TW 5.0 they kept it close to stock Android. Like we know from Samsung, they put some nice additions into android. Like the scrollable notification drawer and swiping left or right when you want to call or Sms somebody. 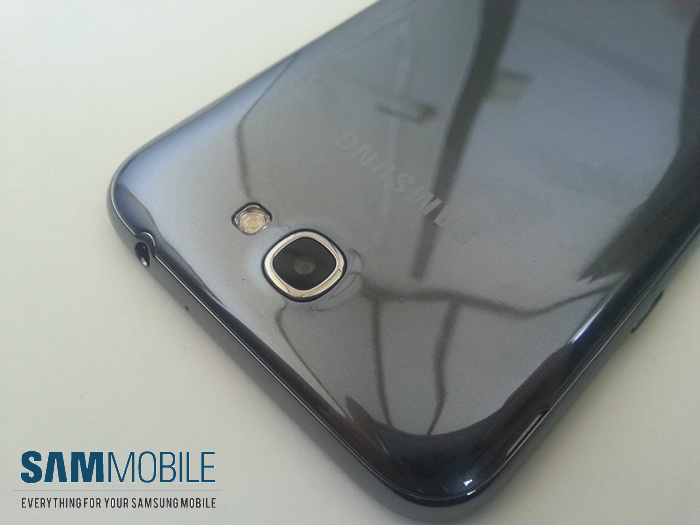 We of SamMobile really like Touchwiz 5.0 it is a big improvement from Touchwiz 4.0. 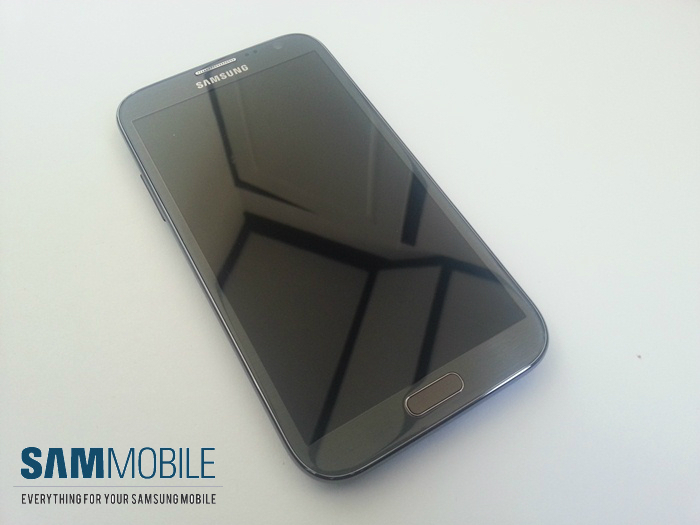 It is the same Touchwiz as we know from the Galaxy S3 so head on to that review to see all those features. 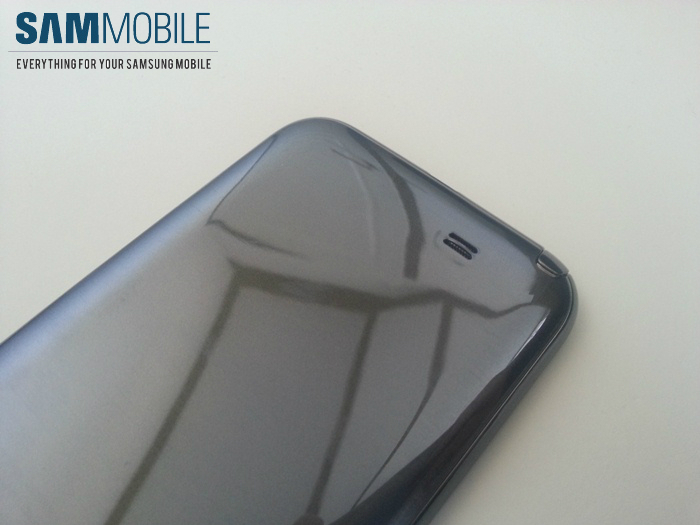 ● Smart Orientation: This feature is using the front facing camera which detects the way your head is, and then your Note II will automatic adapt the way your screen is orientated on your device. 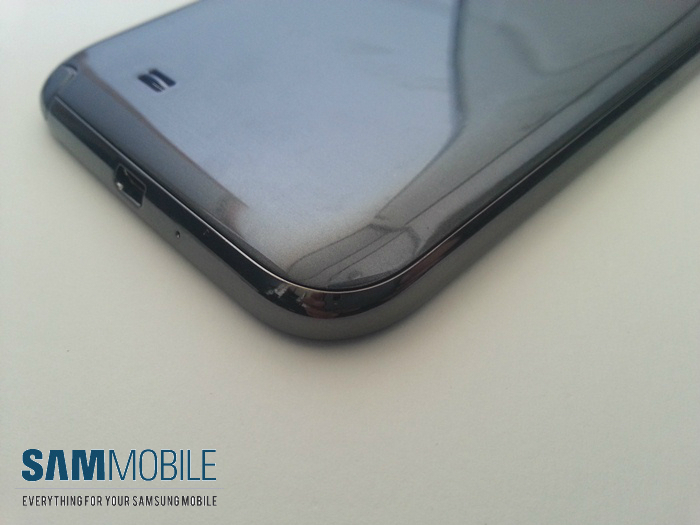 ● Quick Glance: This feature uses the proximity sensor, when your phone is locked you can cover the top of your device. Then you will get a quick look of missed calls, missed messages and battery percentage and this all is presented with a nice animation. 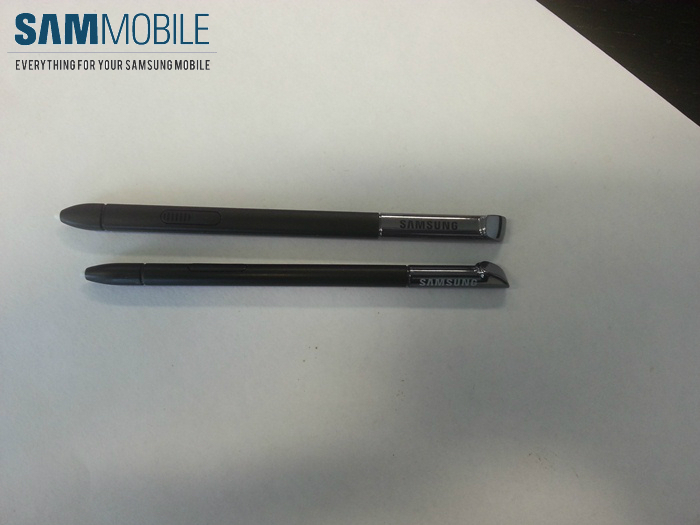 Samsung managed to update the S-Pen as well, they added a lot more pressure levels and added a rubber tip, which makes drawing more accurate. They changed it dimensions too, this time it is more bigger and you can hold it more comfortably. 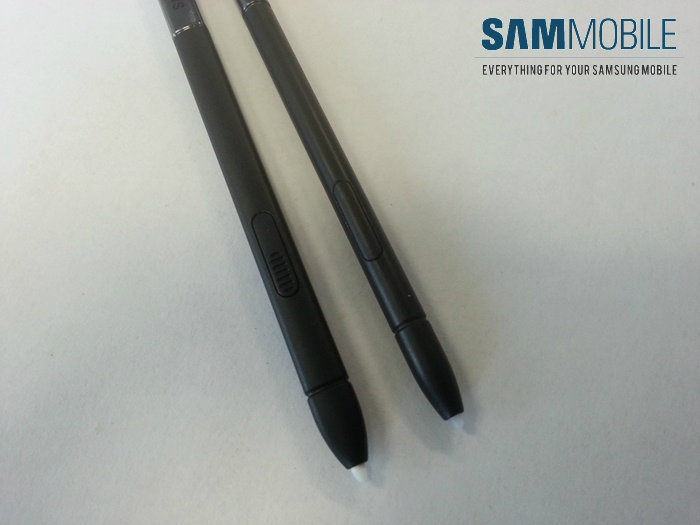 When you slide out the S-pen there will be a page added to you home screen a specially for the S-pen. They added Air-View too, this feature is new and very handy. When you hold your S-Pen near the screen but you don’t touch it, you will get to see a preview of the folder with photo’s or a preview of the movie you are watching. You can select an app when you slide out the S-pen, so when you slide it out the app you have chosen will be started up. 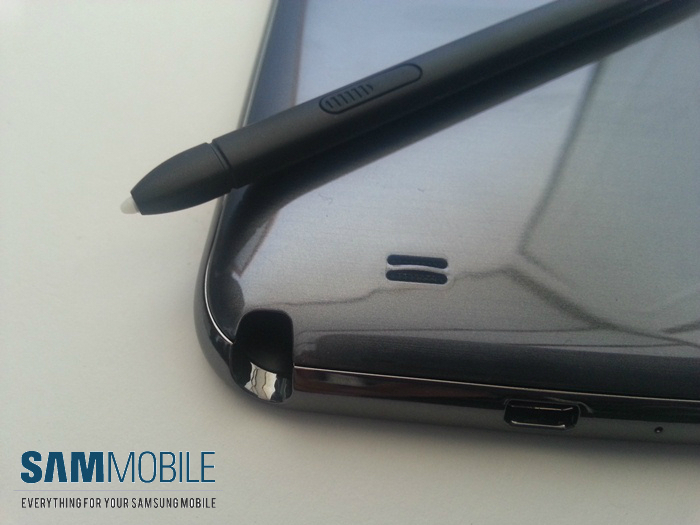 An other nice feature is when you are in a phone call and slide out the S-Pen, then pop up note will be started, so taking a note during a phone call is a “piece of cake” . 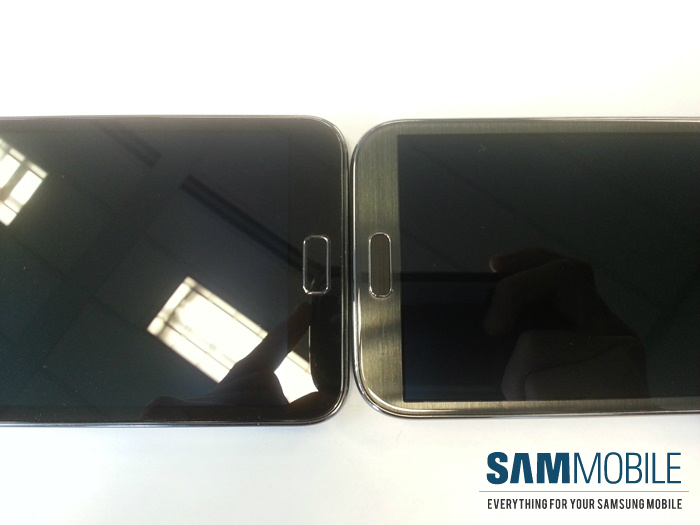 The Galaxy Note II is a true multi media beast with its Quad core processor and Mali GPU which is clocked even higher than on the Samsung Galaxy S3. You can play games with ease no hick ups what soever. And with its beautiful big screen watching movies is a thrill. Listening to music is like a dream come true with the Wolfson audio chip, luckily Samsung listened to their customers because in the original Note there was a Yamaha audio chip which was not good at all. 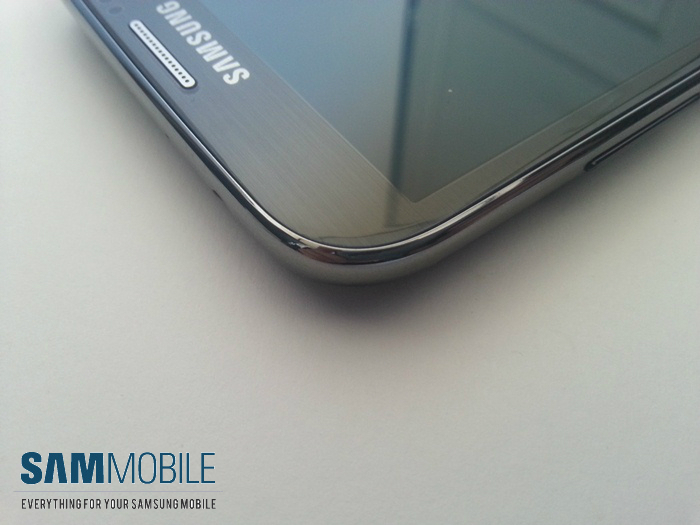 The Galaxy Note II runs on the latest Android version called Jelly Bean. Google managed to keep the UI on 60fps and with the EXYNOS 1.6 ghz Quad-Core processor makes this phone smooth as possible. 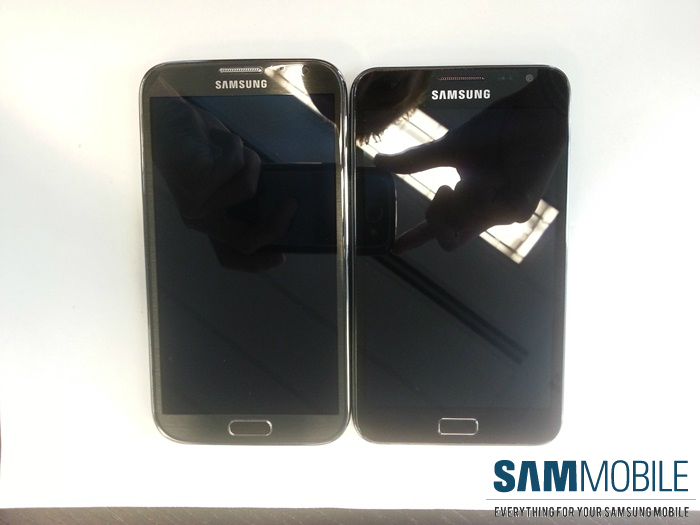 The Galaxy Note II is Samsung fastest smartphone at the moment. 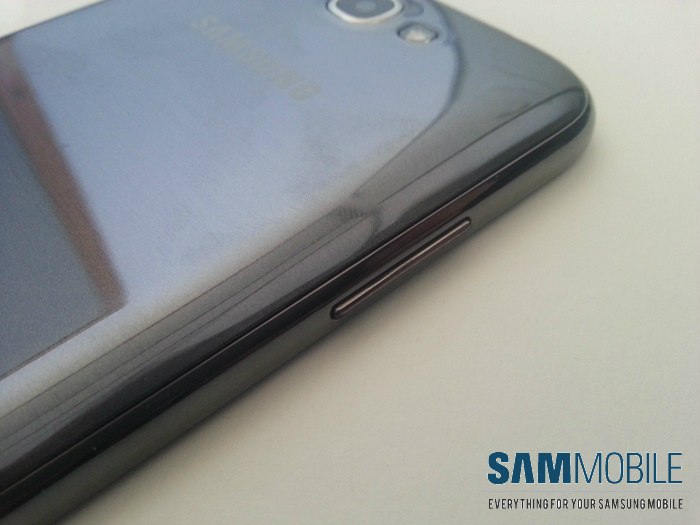 If you think this will cost a lot of battery power think again… Samsung has put a heavy 3100Mah battery in the Galaxy Note II. Reports are telling that people have screen on time for over 7 / 8 hours. Which means this device is really good to view full movies or browsing the internet for almost one workday. Comparing to the older Note is this device on both points for sure lots better. We almost have to charge our old Note device everyday. 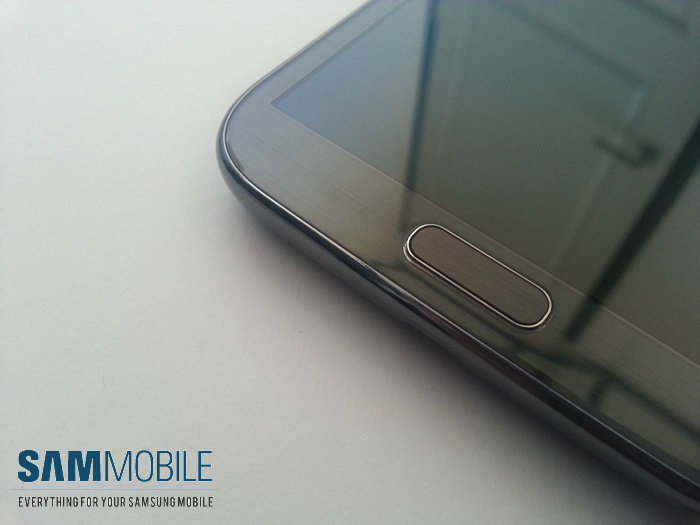 When you use Galaxy Note II normal like browsing, calling and listening to music you will be able to get 2/3 days on a full battery. 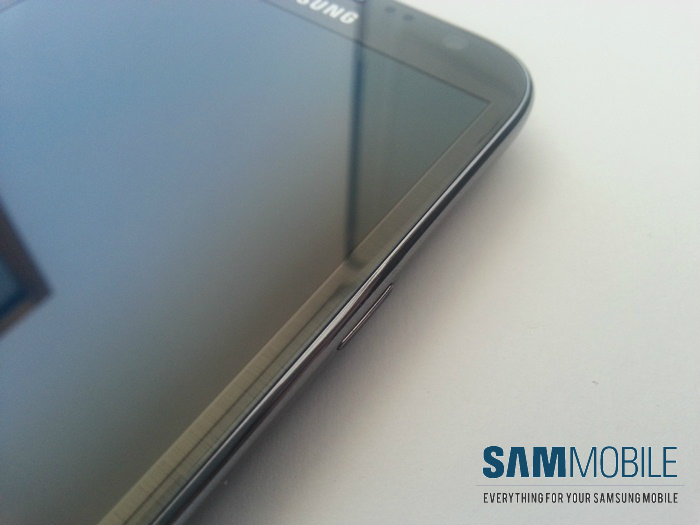 It can be said that the Galaxy Note II is the best smart phone on the market now. And Samsung has out done itself with the follow-up on a device nobody thought it would succeed. Samsung has managed to improve the original Note on every aspect. And they thought on every little detail like placing the power button little more to the bottom, the same they did with the volume rocker. As for the software they improved a lot, just like they promised. Samsung expects to sell more than the first Note, we think that they will sell like “hot cakes”, cause it is a phenomenal phone. So if a size of a phone does not matter this is the phone for you! S PEN IS NOT FU(*&^NG RUBBERIZED!!! got mine, brill phone, real nice big screen, very happy. On the android 4.1.2 you can turn the volume buttons to a shutter button to the camera!!! I have one, in Titanium Grey colour, and I am Very Happy, Veeery Happy, the Veeery Happyman in the world!! The GT-N7100 I have shows only GSM/WCDMA under Network Mode. Anyone out here know how to make it do the others listed here? 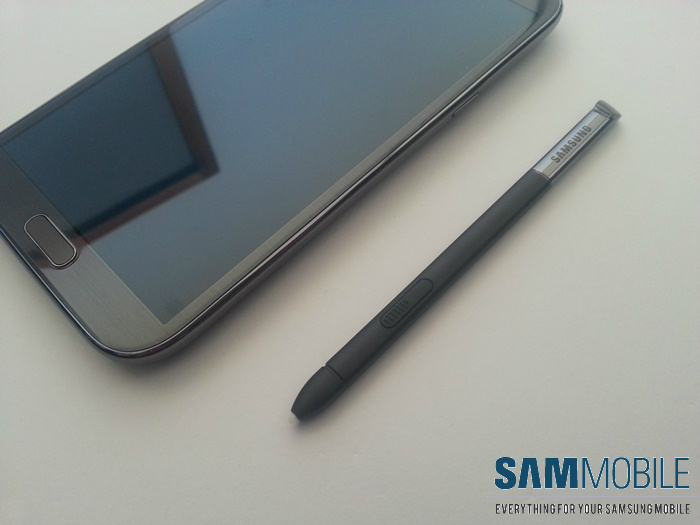 Galaxy Note 2 have all I want for a phone.iphone looks so pathetic while using their pen! Too bad that note 2 have it built in. why they are not confirming that note II has gorilla glass II. 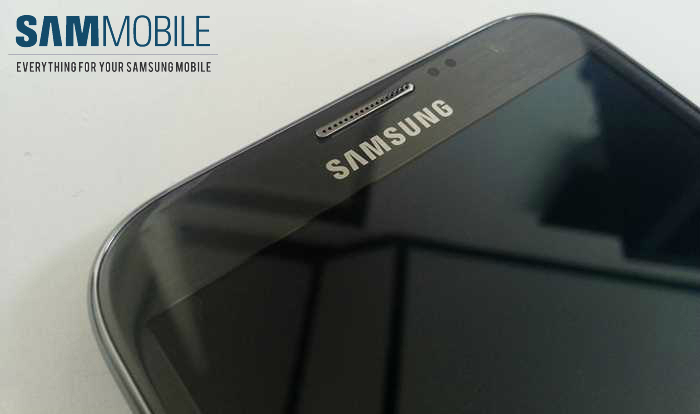 Corning and Samsung official website are not saying that the n7100 has gorilla glass II. now, sammobile can you confirm this? WHERE IS THE SCREEN RECORDING????? when is coming to Tmobile US? led indicator on it ? thanks. Pls answer 1 thing why is the screen recorder not present in NOTE 2 . It had been promoted so much in the demo video after ifa berlin. But is not present in the final shipment. Does anybody know release date in Hong Kong? Or is it already selling in Hong Kong?